I woke up to a gently falling rain this morning. The quiet falling is reminding me of the power of silent waiting. 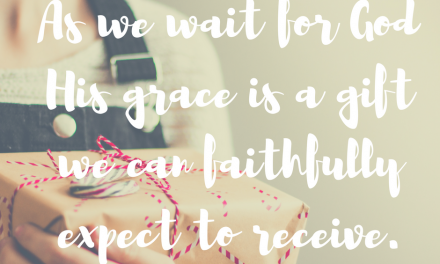 There is deep and profound wisdom in falling into a posture of waiting with God. I seem to be doing a lot of waiting in my busy-ness these days. I didn’t plan it that way, but it’s where we are. And in the waiting I am learning the lesson of enough. I’ve not been the best of students. We’ve been reviewing the basics of trust and faith a lot, me and God and my Bible. 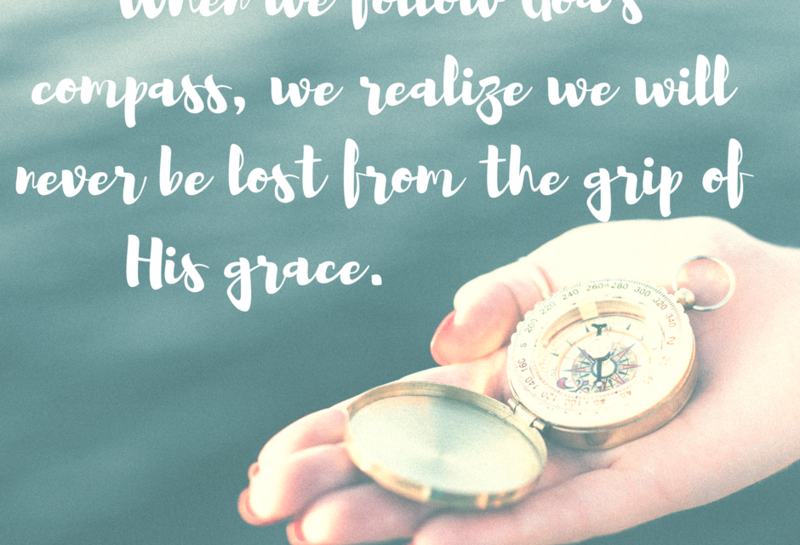 But God is the most patient of teachers; His grace etching a map back to His embrace for every moment I wander from His Truth. And I’ve worried at times, not so much about my wandering, but about the people I love and their journeys. I was reminded of David’s plea in Psalms. Even though at times, I sometimes feel lost, or perhaps unprepared, in this journey…not knowing where I am going from one moment to the next…I’ve always understood my destination, and theirs, too. Psalms 119 reminds me of His law and the directives to follow it we find there, and I remember how He binds His heart to ours so that wherever we are, we are only ever lost in Him. Because a wanderer, lost for God, can never journey beyond the path of His grace, the depth of His love, the security of His truth, and the light of His hope. 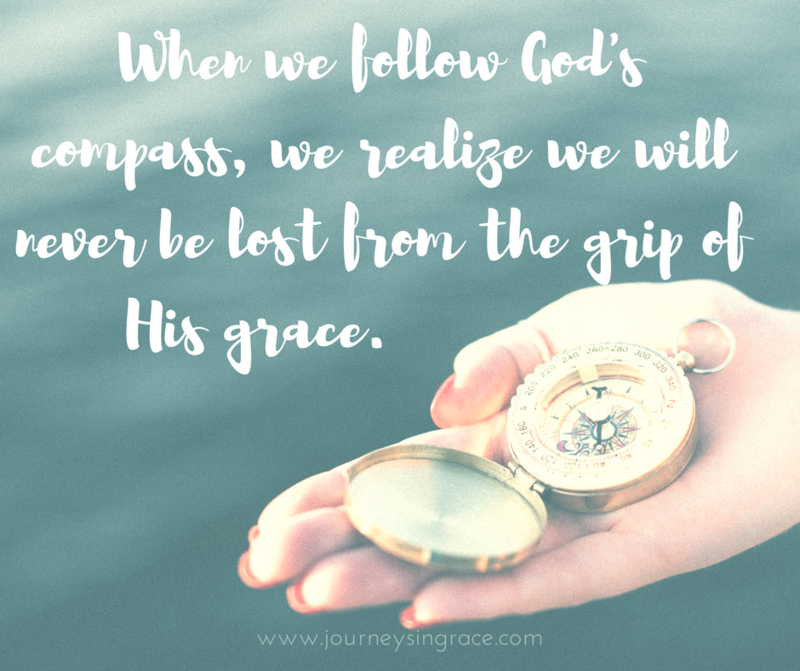 They are God’s compass of direction, the markers that point us always back into the arms of the Father. 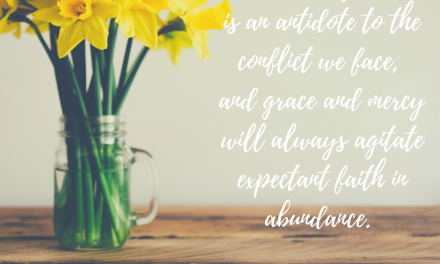 Grace … the favor that He extends is also the agent that buffers us when we misstep and take those wrong turns in the commute. Without it, we would be left beyond weary of our circumstances. Yet, even in our weariness, even in our exhaustion, grace always points us back to the other 3 markers: Love, Truth, Hope. His Grace always leads us to look for His love, His truth, and His hope. Grace is motivated by mercy to lead us closer into the arms of the Father for well-timed help and provision in all our times of need. Love… the one Word that IS a valid and full description of God and every single action He has taken on our behalf. How can we question His love for us friends? Even when we doubt, we can know the truth of His love. 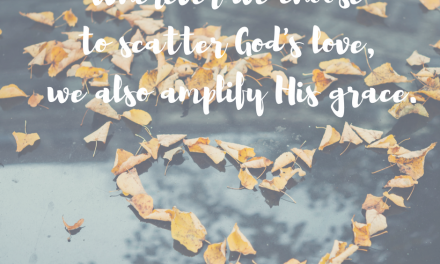 When my children waver in this wisdom, I remind them of one thing: He has done enough. If God does not one-thing else for us this side of eternity, not one answered prayer, not one blessing or grace or mercy… He has already done more than enough by sending the Son to save our soul, to bring us to Him, and free us from death. That sounds like a sobering thought, but it’s not. It is a praise! In that one-thing, He has done enough. And I am pondering the power of enough more and more. It makes everything else come clearly into perspective and it directs my feet back to the path grace leads me on. His love is the sure answer to our salvation. Always. Truth…His Word is the security blanket for our souls when we are wary or fearful or tired or hurting. And it is the ammunition for our arsenal when we are in the battle fighting for not just our own territory, but for Kingdom things. Too often, I fear I take for granted the availability of His Word, but I have been reminded that putting this most sacred gift into the depth of my heart as I read it, say it, hear it, is the reminder I need in the moments when I have taken a turn down an unfamiliar road, or find myself way off course. His Truth always points me in the direction that I need to go and reminds me I can never be too lost or too far from His grip. Hope… I am holding hope tight, lately. Though circumstances feel a little shaky where I am standing, hope is the eternal light that is shining right into the center of my soul. Even when the world seems to make no sense and I am not sure how much more pain can be inflicted or how many tears could fall, there is a beacon shining…there is a promise that the end will justify the means and that God never wastes a moment in our days. Because Hope is a prevailing reflection of those who walk with God. It is the anchor of our souls as we move forward on the journey. Hope from God doesn’t disappoint but constantly lures us to walk His way, with the assurance that there is an end in sight. Christ is always at our finish line, friends. He is our appointed end. We have this hope as an anchor for the soul, firm and steadfast. It enters the inner sanctuary behind the curtain where Jesus our forerunner has entered on our behalf. 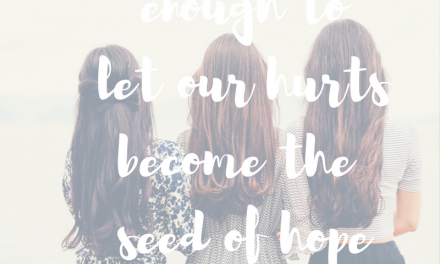 My daughter confided that she is not sure about this hope thing… even though she is sure about the One we hope in. Watching people you love struggle is hard stuff. It’s like watching them wander, lost without direction, seeking and looking for the light that will lead them out of that dark space with their eyes looking everywhere but up. But God doesn’t leave us in the dark places. He is there. Always. 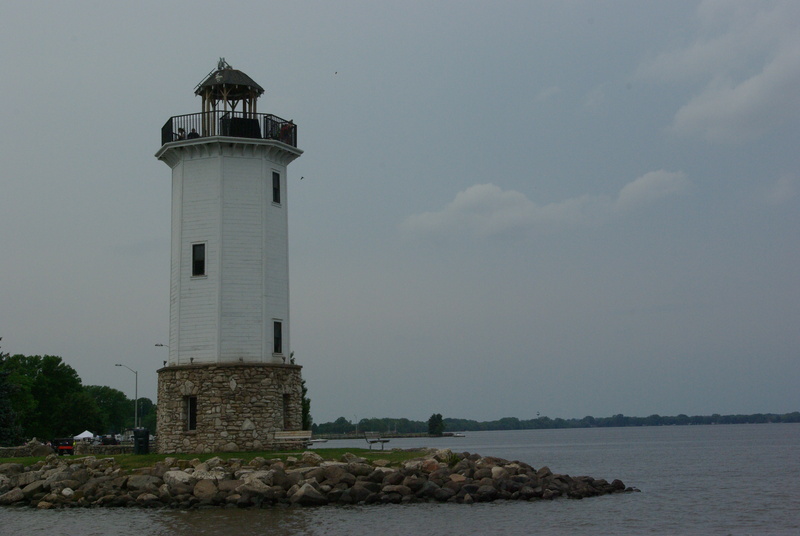 And when we find ourselves lost in God, resting in the fact that we are known by Him, then we can be assured that because He has laid out this journey paved by grace, secured by truth, and encased by His love, then that beacon light of hope will shine if only we look for it. Today, as you count steps on the journey you are walking, may you also gather up the ways you have seen the compass of direction He has provided for you. In grace, He guides your path. In His deep love, you are never too far out of His reach. In the security of His Truth, we are hedged in and secured by His salvation. And the anchor of hope will always remind us that Jesus is ever before us, waiting in victory. When I sing the hymn: “Prone to wander, Lord, I feel it . . .” I really DO feel it, because it’s so much a part of me. And I’m so thankful for the keeping power of God and for the whispered guidance through the Word that keeps me on course and following, however imperfectly. Thanks, Dawn, for these particular words today. Beautiful post! Thank you for sharing your heart and your wisdom. Waiting can be so difficult, especially when those moments are filled with pain. I have found in those painful moments I live moment to moment never looking ahead or behind. Just that moment and when miraculously that moment is over I am ready for the next. Waiting is so hard. We just finished a study with our connection group on just that. It’s definitely and opportunity for us to experience #gracemoments!